This is old version Dolphin Browser 11.5.8 apk for Android, you can install it if you want to downgrade or install old app. It is top Communication apps from Dolphin Browser. If you want the awesome browsing experience through the mobile phone screen, this app s really recommended. You can even manage the performance of the phone by using some special features such as the AdBlock, sidebar, tabbar, and incognito and so on. It has been downloaded by more than 150,000,000 people for android and IOS users. It has a lot of element that you might not find in the other browser. Some of them are the presence of multiple tabs bar. The user interface to operate this tab movement is also very comfortable and friendly. You can enjoy the performance of the tab changing easily. The presence of new bookmark and the add-on sidebar is also helpful to give the incredible experience for the users. If you want more specific result, you can also have the personalized search on the browser. 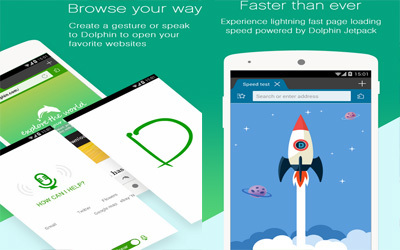 It is also recommended to use the Dolphin Browser for android for fast download files.